Elizabeth apologizes to Ewen for cancelling their date, because of babysitting issues. He asks that they can have lunch. They head over to the Metro Court. Liz is determined to find out something about him and mentions his accent. Ewen jokes about being the only Australian in town. Liz says unless Jax comes back. Ewen appears aware of Jax, Jerry and Lady Jane. When Liz asks if Ewen knows them, he assures her that he’s only heard of them. Sonny thinks Kate seems a little off. Connie explains that Jason came to see her. She claims he was hostile and angry with her. She also claims he said things that made her uncomfortable. Connie says Jason accused her. He doesn’t need to protect Sonny from her. She said she was very scared. Connie thinks maybe the surgery changed Jason, because the old Jason wouldn’t have treated her like that. Sonny offers to talk to Jason. The two kiss before he heads out. Connie’s still determined to get rid of Sonny. McBain offers to help Sam, who doesn’t want to confide in him. She says he’s investigating Jason. John clarifies that he’s investigating Sonny and Jason wasn’t involved. John says he isn’t leaving. Sam explains about Franco’s obsession with Jason. John is aware of Franco, since he had an FBI file. However, Franco is dead and can’t hurt them anymore. Sam says he still has the power to destroy their lives. Matt is surprised to see Patrick back at work. Patrick says he can’t sit at home because he sees Robin everywhere and wants Emma to stick to a routine. Matt mentions taking a trip, but Patrick says the pain would still be there when they got back. Matt says he appreciates Patrick talking to Maxie, but that she’s pled guilty and her life is over. Matt says he wishes he could give Maxie an alibi, but he was with Liz and drunk that night. Matt explains to Patrick how he and Maxie were always fighting. He gave her ultimatums, but he does love her and wants her in his life. Patrick says to fight for her. Lulu wants to help by going undercover as a Vonn’s stripper, something that doesn’t sit well with Dante. He reminds her that she isn’t a cop. It’s not on her to solve this. Later on, she tells him that there’s an opening at Vonn’s. Dante says he’ll get an undercover officer in there. He won’t let Lulu do it. Lulu says he’s not her keeper, but Dante says it’s dangerous. Sam explains to John about Franco leaving the DVD. She followed the lead to New York, then to Heather and how Franco is Jason’s twin. She says she went to Franco’s mother, who admitted it to be true. John says it’s over now that Franco is dead. Sam tearfully explains what happened in Hawaii and that she was raped. John holds her hand than pulls her into a hug. Spinelli asks about Sonny’s innocence, but Jason swears to it. Spinelli’s concerned for Maxie. He explains that she pled guilty and it’s just a matter of waiting for sentencing. Jason offers to help, but Spin tells him to deal with Sonny. Spin heads over to the hospital to ask for Matt’s help. Sonny shows up at Jason’s asking if he’s feeling ok and about more rage episodes. Jason assures him he’s fine and what is this all about. Sonny wants to know what went down with Kate. Liz asks Ewen for the promised secrets. He says he plays the blues on a harmonica and proceeds to do so for her. When Liz heads off to the washroom, Connie shows up and hits on Ewen. John tells Sam that Franco can’t hurt her anymore. She points out she got pregnant in Hawaii. 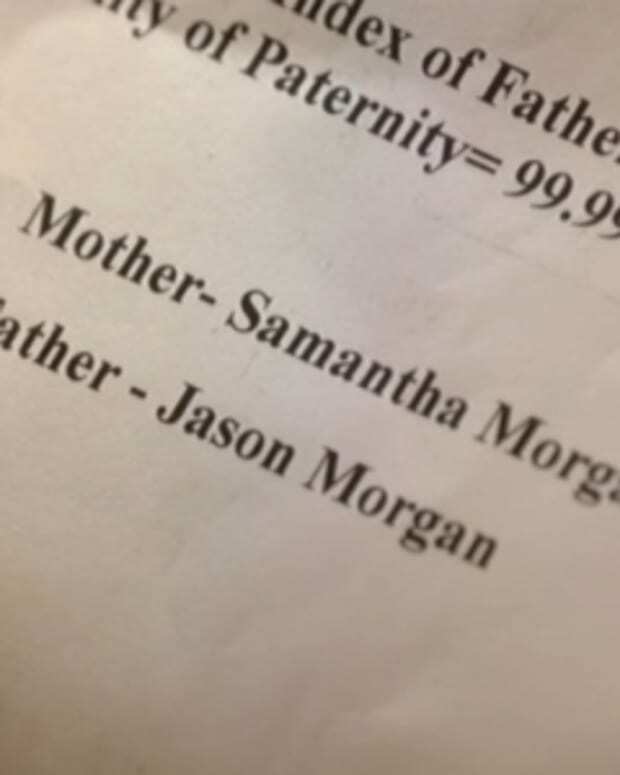 The original DNA test said it was Jason’s, but now she could be carrying Franco’s baby. I love the way Kelly Sullivan is playing disgust at all things Sonny. When they kissed and she backed away, the look of revulsion that she tried to hide was too funny.